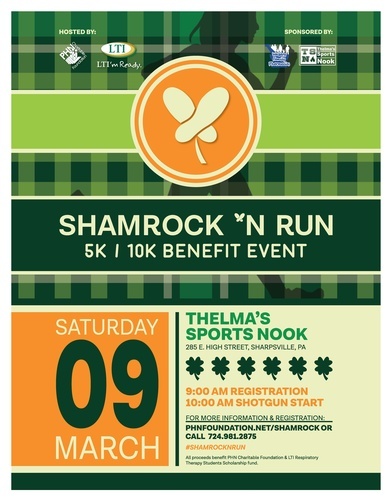 St. Patrick's Day themed 5k and 10k benefit event. Proceeds benefit Primary Health Network Charitable Foundation programs and a scholarship fund for Laurel Technical Institute students. The event features a 5k, 10k, basket raffle, kids fun run, bagpiper, DJ, complimentary breakfast, and more.